OsteoCorps is an all ages educational comic book based on science and health. It is a way to help educate children on their injuries and illnesses in the world of superheroes and super villains. It’s a way to take away the fear and stigma that many kids have of hospitals and to help them find the courage they made need to face things head on. 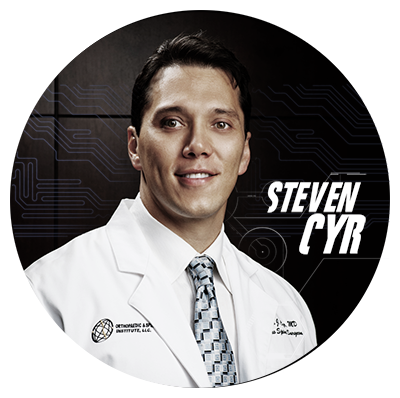 The creator of the OsteoCorps Steven J Cyr M.D., also known as Ian Cision, is a spine surgeon from San Antonio, Texas. When asked by a close friend and pediatric surgeon to join his practice, he was inspired by the idea of creating an environment for kids where they felt a sense of empowerment. He felt an environment based on the world of superheroes would be the best way to convey that message. 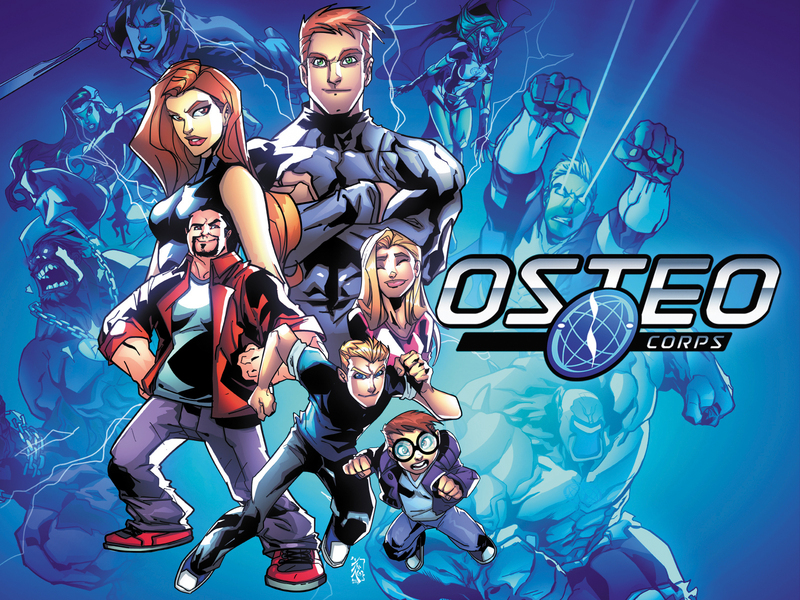 From there the superhero team OSTEOCORPS was born. The Children’s Orthopedic and Spine Center is considered to be a superhero fan’s paradise. The mentors of the OsteoCorps are likenesses of Dr. and Mrs. Cyr. The story begins with Dr & Mrs Cision successfully creating the Genesis serum, a serum that has the ability to transform diseased tissue into normal tissue by manipulating stem cells as well as heal and correct bone abnormalities. They felt confident enough that the serum would work that they tested it on themselves with no effect. Considered a failure they called it a night, but unbeknownst to them their children, Cade, Alexia, and Colt were playing hide n seek in the lab and accidentally knocked some of the serum off the table causing them to be covered in it. The next morning when they awoke they found that the serum had changed them in very dramatic ways. While at first the serum had no affect on Dr. & Mrs. Cision, they come to find out that their abilities were much more subtle but still impressive. They also included their most trusted friend and partner Eli to join the super powered club and his results were astounding. 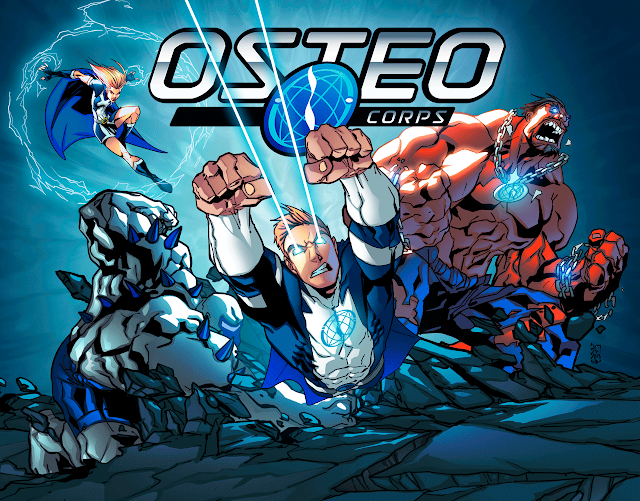 With their new found powers and abilities they formed the OsteoCorps and embark on a training montage. Of course hidden in the shadows are 2 of Dr Cision’s colleagues, Dr’s Adsin & Nakamura, decide that Dr Cision has had his time in the sun for way too long and decide to steal the formula for themselves. After stealing it they try it as well and it turns them into twisted versions of who they really are and thus forming MalUnion. The artwork and style in this book are amazing. It is really well done. The book itself is high quality printing and embedded logo. You can tell Dr. Cyr went all out for this series. The pacing of the story is very fast paced and reads like an old school origin story. Scientists create something wonderful and somehow it gives them or some random person superpowers thus creating the newest ally for justice. 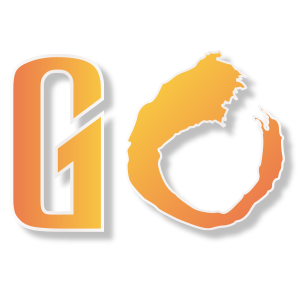 Since it is geared towards kids that may be the reason behind that pacing. With all the terms being used it is very helpful that he put a glossary of terms in the back of the book. That really helped with the story. Since it is the first issue, not every character is fully fleshed out, but when they become superheroes and start their training he really does a great job in defining each hero and their abilities. In later issues I hope that we get a better sense of each hero and their role as a person and a hero. My favorite part in this first issue is that in their training montage they are teaching everyone not only how to use their powers, but how to actually fight. Which a lot of super powered heroes tend not to learn because they rely on their powers a bit much and end up paying for it. Dr. Cyr conceptualized every character personally, their powers, arch enemies, and battles based on injuries, illness, and treatment of the muscular and skeletal systems. The idea is to teach children about their conditions and the science behind the source and treatment of each condition without it being obvious. He wanted to create unique characters imbued with special powers that were in line with those needed to treat their injuries and disease states. Ultimately, it's a battle between health and illness (good vs bad) but in a totally new frontier. The characters can adjust their cell sizes and thus, their bodies, to be nanometer sized or normal sized. They can fight in the body or in the outside world. The battles are limitless as are the types of cells and diagnoses facing humans. In the back of the first issue a glossary of terms that are used throughout the story can be found which really shows the reader just where the names originate from as well as understand the medical terms that doctors use. OSTEOCORPS is definitely worth a pick up. There is no set schedule yet on when the newer issues will be released, but you can buy the first issue and keep up on any news on the website. The book is mainly to help educate kids on what’s going in their bodies when they are sick and injured, which it does well. I like that they are doing so in the comic book route which makes it easier to understand. 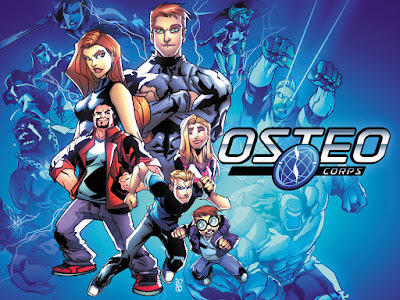 It may not be on the level of an Amazing Spiderman comic book story, but it’s on a level that will definitely keep kids entertained and even create a fan base among the average comic reader.